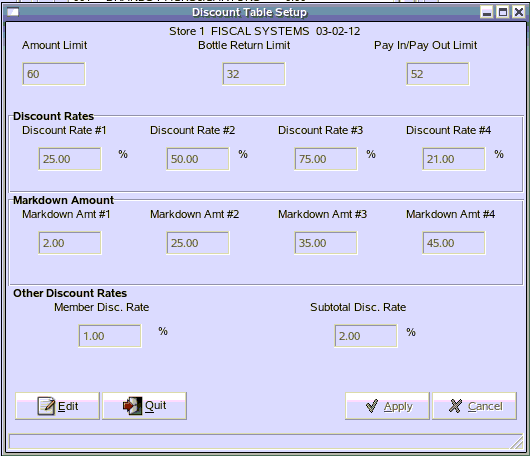 TravStar1 Point Of Sale SystemManager's Work Station Additional SetupHow Do I Setup a Percentage Discount? How Do I Setup a Percentage Discount? 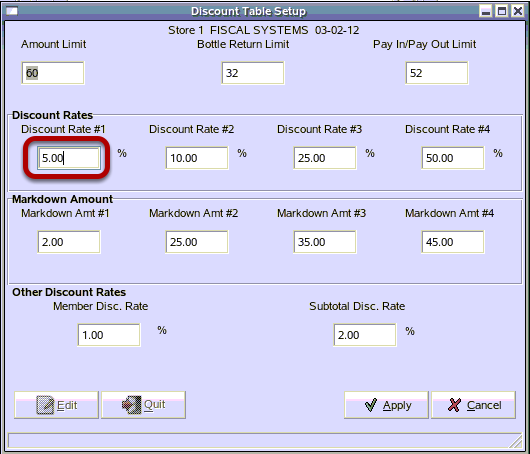 This lesson will teach you how to setup a percentage discount that can be assigned to a Discount button at the register. You can have up to 4 different discount rates. 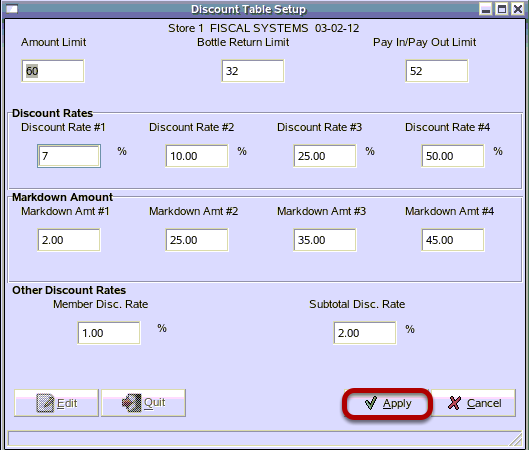 A discount is a percentage discount off of each item and is manually applied at the register by touching a button. From the Setup Menu, click on the "Discounts" button. In Discount Table Setup, click on the "Edit" button. 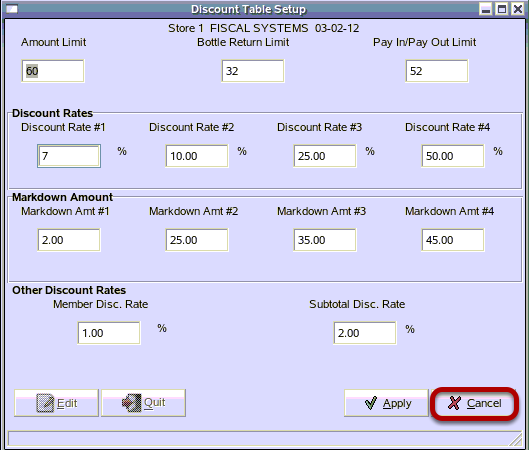 To change a discount, click in the field below the Discount Rate you wish to change and type in the new Discount Percentage. To save your change, click the "Apply" button. You must send the Discount command for the discounts to work at the register. See the lesson How Do I Setup And Send Commands To The Register? A discount must also be assigned to a button for the discount to work. Please contact the Fiscal Helpdesk for information on assigning functions to register buttons. Prev: How Do I Remove a Bad Check Customer? Next: How Do I Create a Menu File?